Tristan Vautier and Dion von Moltke will co-drive the No. 9 Sun Energy-1 Audi R8 LMS with previously confirmed drivers Boris Said and Kenny Habul. The annual Roar before the 24 test days marked the first laps for Stevenson Motorsports in their twin Audi R8 LMS machines, and adding a brand new driver lineup in the No. 9 car only served to highlight the strength of the team as the they made the most of the three-day test weekend. 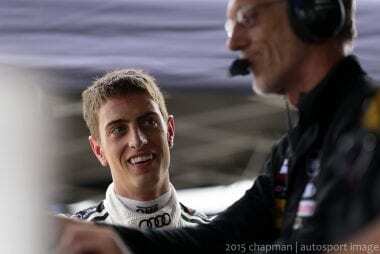 Dion von Moltke is a valuable asset to the team, having won the 2013 Rolex 24 At Daytona with Alex Job Racing in an Audi R8 GRAND-AM. The No. 9 Sun Energy1 lineup will join the brother No. 6 Stevenson Motorsports Audi LMS entry of Robin Liddell, Andrew Davis, Matt Bell, and Lawson Aschenbach set to drive the No. 6 to kick off the 2016 IMSA WeatherTech championship. The 2016 Rolex 24 At Daytona will start on Saturday, January 30 at 2:10 PM ET with live coverage beginning at 2:00 PT on FOX Sports 1.